We’d like to start off by wishing everyone a Merry Christmas, and nothing but light and joy to brighten up this festive season! The last day of our Interiors Advent Calendar is upon us, and we’ve chosen a super design to wholeheartedly recommend. 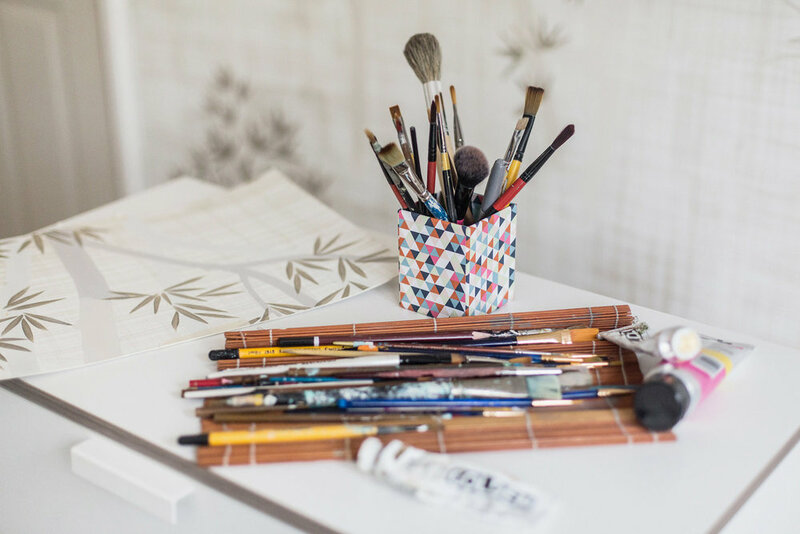 Diane Hill is an incredibly talented painter who specializes in creating unique and simply stunning designs for interior surfaces. Her client portfolio includes industry heavyweights such as Helen Green Design, Candy and Candy, and Wynn Casinos, as well as celebrities like Lady Gaga, Kate Hudson and Gwyneth Paltrow, and, most notably, the interior of “the most exquisite Rolls Royce to date”. If you’re looking for a last-minute gift to bedazzle someone you hold dear, the Felicity Giclée Print in neutral tones is an excellent option, available in three different sizes. The art print is of archival quality, on Hahnemuhle Photo Rag heavyweight paper, making it perfect for any wall display. 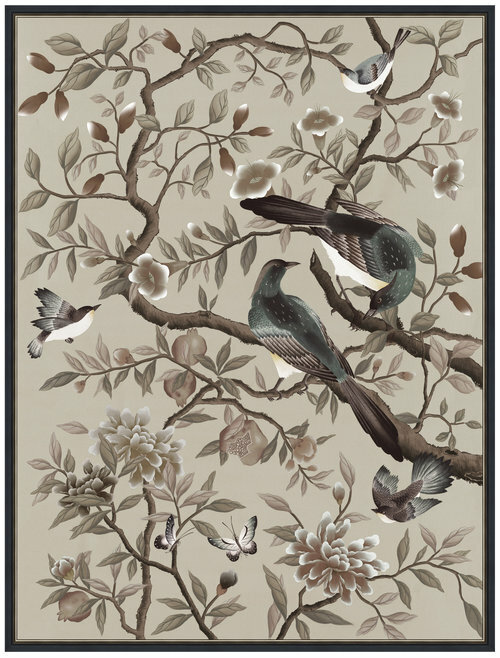 Inspired from the Chinoiserie art that dates back to the 18th century, the Felicity Giclée Print depicts a mesmerizing snippet of the divine paradise dreamt up by westerners of the Far East. The original artwork was meticulously hand-painted onto silk, and skillfully transformed into a high-quality art print. The neutral tones allow its introduction into almost any setting—personally, we think it would look amazing in the lounge or living room area, or on a bedroom wall where the sun can greet it every morning. We hope you’ve enjoyed this year’s edition of our Interiors Advent Calendar, and that you’ve found at least one perfect gift to give this Christmas. We certainly enjoyed putting it together and, twenty-five days later, we admit that we were incredibly inspired by each pick. We’re already looking forward to next year’s design collections!